Finally, a warranty that lasts forever. Which one is your preferred color? & Enjoy What Matters Most: Family. 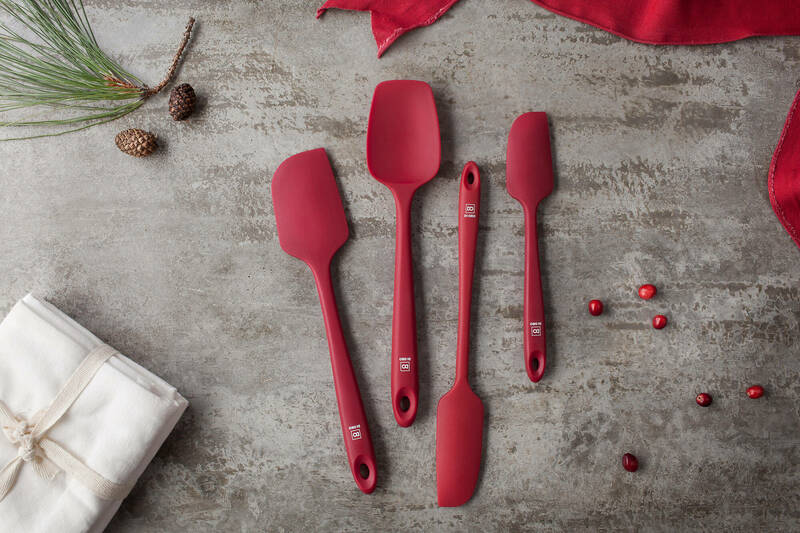 Voted "Best Spatula" by America's Test Kitchen, and loved by celebrity chefs and kitchen enthusiasts around the wolrd. Designed and curated by a culture who's only purpose is to make life better through the simplest of things. Our team of chefs and designers are here to ensure your satisfaction in everything we provide and put our hands to. Welcome to the DI ORO Family. Customer satisfaction is of the utmost importance to us. Unused / unworn items can be returned within 30 days of delivery. Returns/exchanges must include a copy of your receipt. If a product is defective, it will be exchanged for a new product at no additional charge. Refunds are not guaranteed and are subject to our review of the returned product. However, every product automatically includes our "Forever Warranty" and can be exchanged with no questions asked. Customers are responsible for return shipping if requested. No refunds on sale items. For more information about our Forever Warranty, please visit our "Warranty" page.